Violent World of Parker Gazette Extra! DEW Day Edition! I like screwing around with new gadgets for the website. Most of those gadgets aren’t worth a damn, which is why this site has very few of them. But I like it when a good one comes around. I’ve been messing with a new feature, which I’ve named the Violent World of Parker Gazette, which is this gadget that compiles stuff in a newspapery format. I’m not sure if I’m going to keep it yet, but it’s promising. I’ll explain more later. For now, I’m twisting the tool to my own purposes just like I did with Twitter (something that apparently offends the folks behind Twitter to no end, because they won’t leave me alone about it). Patti Abbott hosts a regular feature called “Forgotten Books,” where people chip in with blog posts about this and that. Lots of neat stuff to read about each week, so remember that. 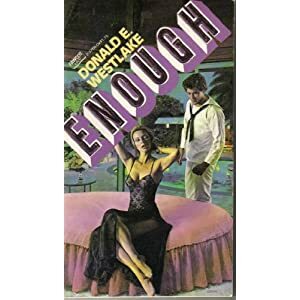 This week, to celebrate next week’s release of Donald Westlake’s The Comedy is Finished, she invited contributors to review Donald Westlake novels. Lots of folks did. I read all of the posts, and compiled them using this new gadget. It’s all here. Most of the pieces are on the front page, but if you click “See all articles,” you can see all articles. There were a lot of good ones. I featured Todd Mason of Sweet Freedom, for both great writing and delivering information I did not know, but there are plenty of other pieces worth reading. You probably have already read esteemed co-blogger Nick’s piece on Jimmy the Kid, but if you haven’t, do so–I may have only made it number two as overcompensation for homerism. James Reasoner’s piece on Westlake and Brian Garfield’s Gangway! was maybe number three, but a couple of looks at the Tucker Coe books and a piece on two short story collections were certainly in the running. Plenty of other good stuff beyond what I mentioned. Sleaze? Dortmunder? Standalones? Parker? Science fiction? Covered. Did I forget to provide links for those last few? Oops. I guess you’ll have to explore for yourself. Thanks again to Patti and the many contributors. This was lots of fun.